The Rebel Sweetheart. 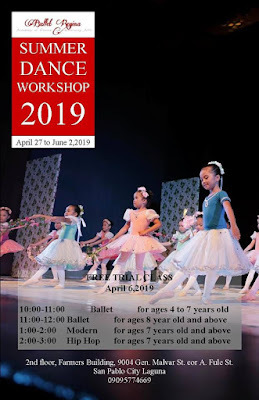 : Summer 2019 | Workshops and Classes for Kids and Teens. Now that my son's Recognition Day is over and done with, I can finally say that we are officially on school break! Yay! No more waking up at the crack of dawn, no quizzes, exams, and projects to worry about, no lectures to rewrite and reviewers to type - for the next eight weeks, at least. But just because we're on a break from school activities doesn't mean we'll be lazing around at home. In fact, Yue will be hustling even harder with his karate training as he prepares for his next tournament and his upcoming belt test. 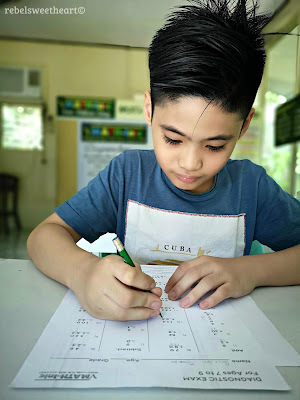 And now that he's an incoming sixth grader, he needs to prepare for high school entrance exams as soon as possible since some schools hold their exams by early October. We're laying the groundwork by signing up for a review class and doing a writing workshop at home. 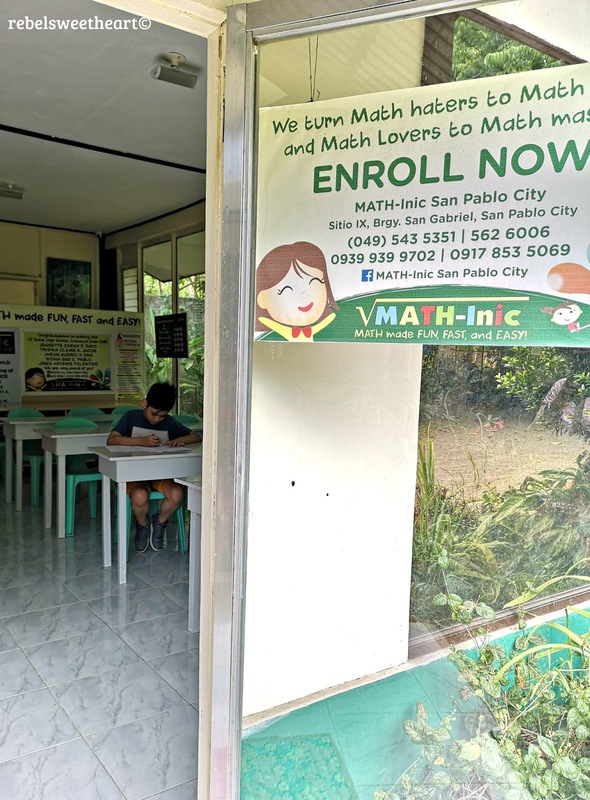 MATH-Inic is a series of special Math courses that aims to transform children - turning Math haters into Math lovers, and Math lovers to Math masters. It introduces fun, fast and easy ways of computing Math problems and enriches traditional Math classroom lessons through new solving techniques. Not only does MATH-Inic enhance brainpower through Mental Math exercises, it also guarantees results such as improved grades in Math and increased chance of passing scholarship and entrance exams in prestigious schools (think UP and Philippine Science High School). Yue took a diagnostic exam before we registered to determine which module will be suitable for him. MATH-Inic's summer classes will run from April 10 to May 9, 2019. Classes will be held thrice a week, two hours per session. Registration is still ongoing. Pencils Up invites kids and teens to its summer art classes - Drawing and Painting (for beginners and advanced levels), Arts and Crafts, and Creative Play (for younger kids). They also offer Creative Writing Classes for aspiring artists and budding writers. Pencils Up Summer Art Class. 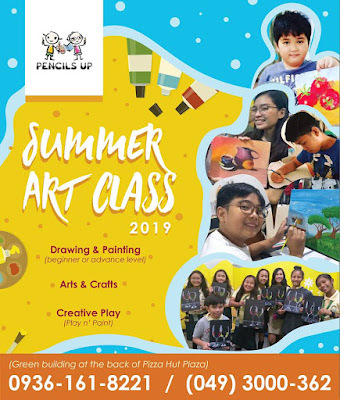 Their Summer Art Class starts on April 3, and will be offered until July 2019. Registration fee is inclusive of art materials. The official organizer of Milo Philippines' basketball program, the B.E.S.T Center is perhaps the most popular and longest running basketball clinic in the country, having been established in 1978. 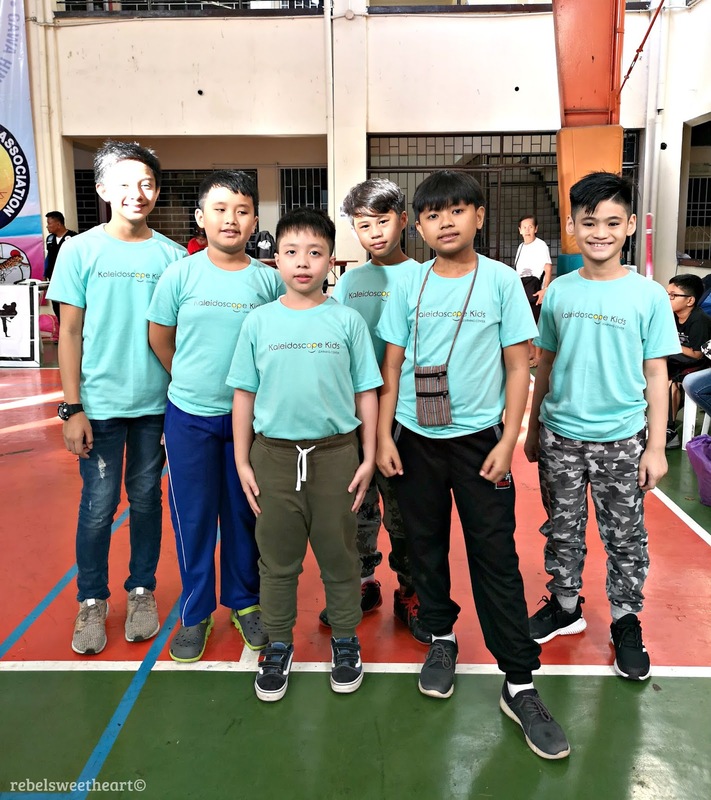 This program has helped train champions on the fundamentals of basketball with a scientific and modern approach, and has produced notable graduates such as Benjie Paras, Chris Tiu, Kiefer Ravena, Thirdy Ravena, and brothers Juan and Javi Gomez de Liano. B.E.S.T Basketball Clinics will be offered in various locations all throughout summer. 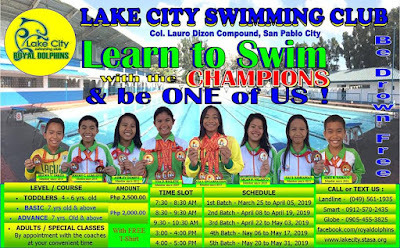 For San Pablo City, training will be held at the San Gabriel Sports Complex from May 20 to May 25. Swimming is not just fun and play, but also an excellent activity for a child's overall health and well being. It's a life skill, and something that your kid will retain for the rest of his or her life. These were exactly the reasons why I enrolled Yue in this swimming class in the summer of 2014, and the year after that. Learn to Swim with the Royal Dolphins. The Learn to Swim Program offers personalized training for beginners and competitive swimmers. 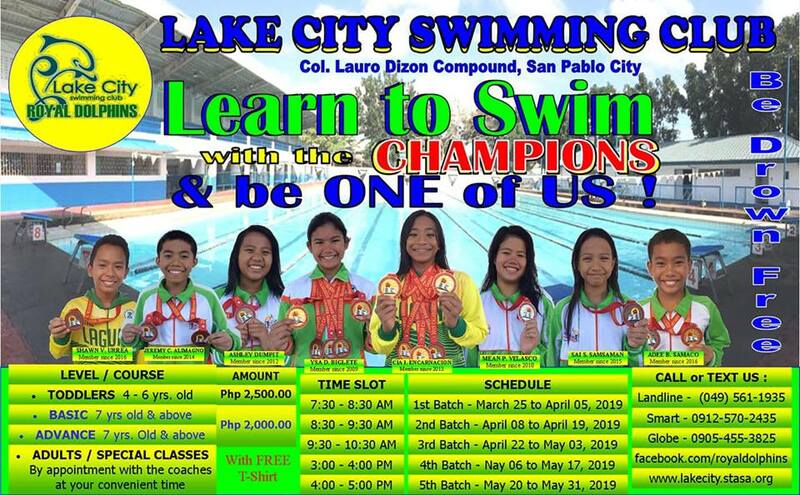 The second batch of swimming lessons will start on April 8, with three more batches after that. Founded in 1986, Ballet Regina Academy of Dance and Performing Arts offers a continuous program for classical ballet using the Royal Academy of Dance (RAD London) curriculum. Ballet Regina Summer Dance Workshop. They offer weekend classes during the school year and intensive training program every summer. This year's Summer Dance Workshop will be held from April 27 to June 2, with a free trial class on April 6. Modern dance and hip hop dance classes are also offered in their summer program. Young Chefs’ Kitchen offers hands-on training courses in different areas such as Culinary Arts, Baking / Pastry Arts, and other Food and Beverage training. These courses are designed to provide basic skills and training for women and youth for employment and business enterprise development purposes; and ultimately to enhance their socio-economic condition, to acquire desirable values and attitude, and to develop environmental awareness. 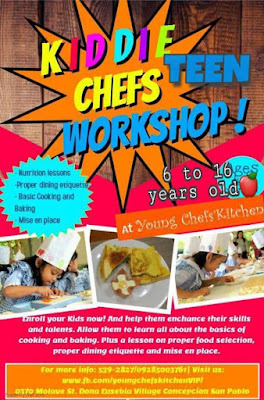 Young Chef's Kitchen Kiddie/Teens Workshop. This summer, the kitchen will be open to kids age 6 and up. This special workshop will teach kids the basics of cooking and baking, plus lessons on proper food selection, dining etiquette, and mise en place (set up). Yue's karate journey began at Kaleidoscope Kids Learning Center (K2LC) four years ago. Back then, K2LC had only two classrooms, offered just a few summer programs, and had a small number of enrollees. Fast forward to 2019, K2LC is now a Dep Ed-recognized private school which offers pre-school and elementary education programs. 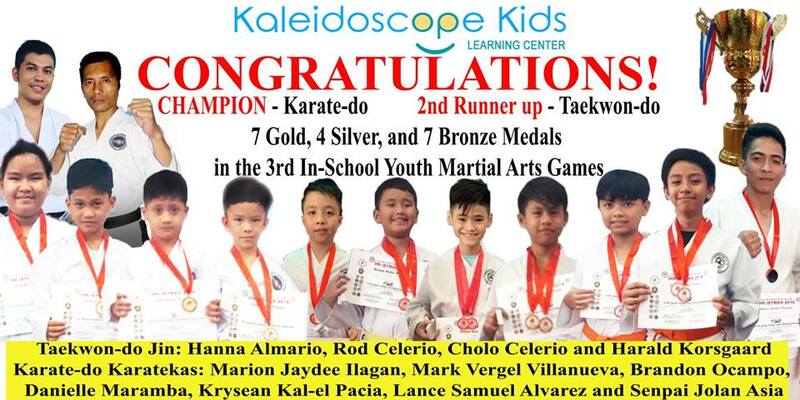 Kaleidoscope Kids Learning Center - home of martial arts champions! 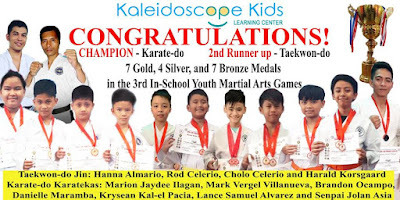 Over-all karate champions at the 2019 In-School Youth Martial Arts Games! Our kids don't go on summer break from school until the end of May. I love that you have all those different programs to keep the kids busy! When my son is old enough he will 100% be taking summer classes and activities! So weird to think about right now though because he's only 3 months old! Oh that is so so cool! I don't have kids but i think the idea is great for sure, reminds me of summer camps. Will share for sure. Thank you. That is awesome, have fun! 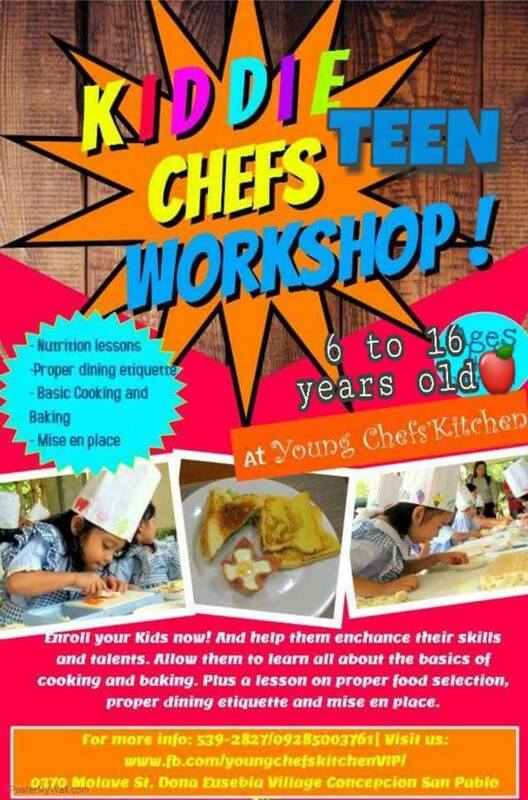 Was just wondering,what`s the right age for kids to learn swimming?if choice was mine, will enroll all kids on Kiddie chef`s workshop, i know how much I miss out on because I can almost not boil eggs. I would have signed up for the swimming program when I was a kid. I love swimming! These are great! These are so cool. I love attending fun workshops with my little guy. WOW lotsa activities to choose from! Enjoy the summer break with your son! such a lucky boy! Really a great idea, to do such activities during a break. We dont have kids, but this reminds me of our child hood days where there were limited resources available unlike today. We used to buy a blank drawing book, some water colors etc to learn art. I always think it is great idea to let children to join some camp during their holiday season. Let them to have some fun and at the same time, learning from the experts. This is a great idea. During school time kids don't get much opportunity to do out of school activities. So vacations are the perfect timings. Also math-inic is something they should offer to me too. I never enjoyed maths. I remember when I also joined a summer math class when I was in elementary but I am not really a math wiz, its my waterloo. This type of workshops is helpful. Wow, those are really great summer programs for kids most especially for my daughter because she said she wanted to do something that will help her develop her talents and skills. Such a informative piece. I totally need this as I have two young children and summer break is on the way. Those are some great way to engage them. Sounds like a great way to help our kids be productive during summer break. This is such a fun thing to do this summer. Next summer break, I am planning to enroll my kids to a taekwondo class. They would love this for sure. Those were a great ideas. My kids loves going to a swimming class every summer. The best ways to spend summer camp is to join the swimming class. Get the Children's Swimming Lessons Sengkang which offers effective, fun and enriching swimming lessons to different age groups.